Leading Manufacturer of digital torsion testing machine and torsion testing machine from Ichalakaranji. We are engaged in presenting an extensive range of Digital Torsion Testing Machine to our clients. 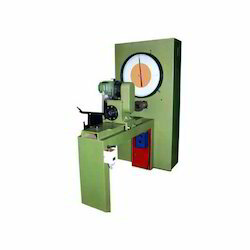 We hold expertise in offering the wide gamut of Torsion Testing Machine in the industry. Our torsion testing machines are designed and developed for conducting torsion and twist on various metal wires, tubes and sheet materials. The torque is measured by the pendulum dynamometer system. 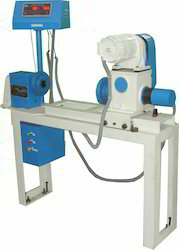 The torque can be adjusted by adding weight to the machine. Torque can also be applied to specimen by geared motor through gear box. Auto graphic recorder gives the relation between torque and Angle of twist.